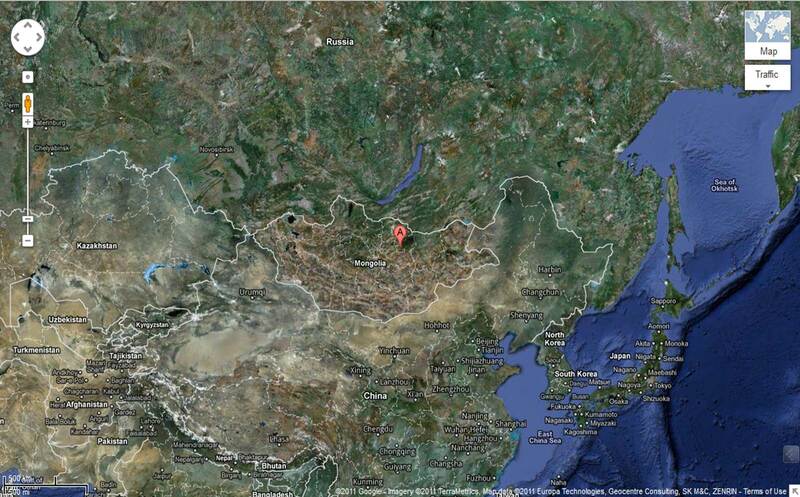 Ulan Bator (red marker) - far away from many places. Hooray, because that’s when we’ll be arriving there next year. The city, however, has come up with an ingenious method of protecting future residents and Rallyers from these extreme temperatures: an artificial urban glacier, designed to save on airconditioning (energy) costs in summer by helping to cool the whole city. It will also, happily, provide water for irrifation and drinking, too! The idea is to capture some of winter’s cool temperatures in enormous ice blocks, which will slowly melt over summer and cool the city. Naleds — the Russian term for these enormous ice sheets, or Aufeis in German — occur naturally along river and stream valleys in very cold environments (think far noth or far south). As water freezes and other water is forced over the top of the ice, a successive layer of ice sheets forms one giant ice layer, which can be several metres thick! And, later this year, Ulan Bator is going to be testing the creation of artifical naleds. As one might expect, water will be forced up through these holes and across the ice sheet, forming a thicker ice sheet thasn would normally have formed — a naled . Just like in nature, basically but with Extra Boring Equipment. The boring process will be repeated throughout winter. The river, considered sacred by the Mongols, runs from its origin in the Khentii Mountains through the southern part of Ulan Bator, so thankfully there isn’t the problem of how to pick up and move the ice sheet**. In addition to the use of this process to cool Ulan Bator and other cities which deal with huge weather extremes, the engineering company involved also reckons that naleds could help, for example, counter negative effects from global warming such as glacier and icecap melting, and say that if properly used, could help repair permafrost. Naleds have been made by humanity before, it would seem: they’ve been used to build bridges for tank crossings, and as drilling platforms. They’re not always good, though, as they can threaten railways and bridges too, cause flooding on roads and blocked drainge. This seems pretty interesting and given that we’ll be in Ulan Bator next year late summer (all things going well, of course), we’ll happily report back! This idea dates to 1981. See https://en.wikipedia.org/wiki/Ice_pond. Make a pond. In winter, pump water thru a spray nozzle and back into the pond. Result by spring: a great big pile of ice. Use the same pump to run the water thru a recycled truck radiator to cool your buildings, food, whatever. See also John McPhee’s ‘Table of Contents’, pg.192, “Ice Pond”. Makes so much sense 🙂 One wonders whether previous civilisations have thought of it, too?